The Swash Channel Wreck is an early 17th Century Armed Merchantman, probably of Dutch Origins. The Wreck lies in approximately 7m of water in Hook Sands (a large sandbank known historically as an area of shipping loss) immediately adjacent to the eastern edge of the dredged section of the Swash Channel in the approaches to Poole Harbour, Dorset. The site was originally found in 1990 when a dredger brought up timbers and a small gun from the area. 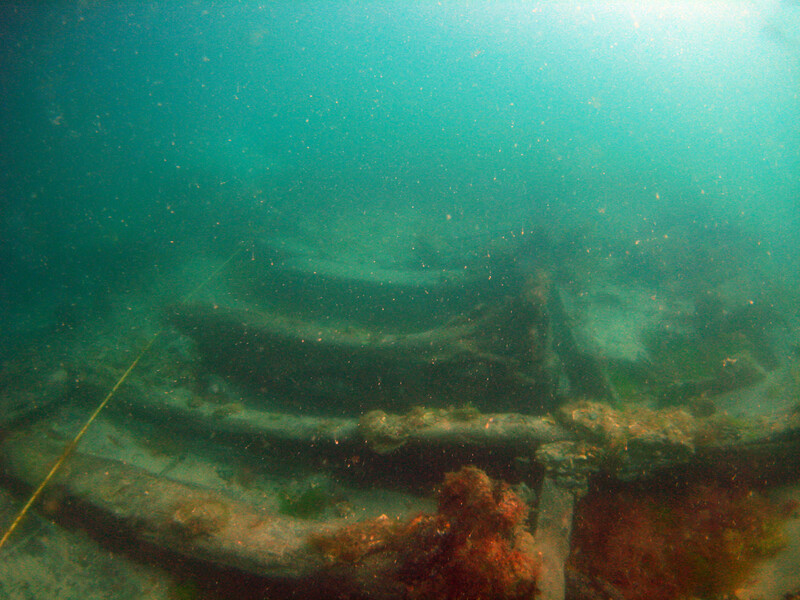 Due to the focus on the nearby Studland Bay Wreck, a 15th Century Iberian vessel, the site remained un-investigated until 2004 when it was located by Wessex Archaeology on behalf of Poole Harbour Commissioners (PHC) and Poole Borough Council as part of the Poole Harbour Channel Deepening and Beneficial Use Scheme. The Wreck was designated as a Historic Wreck under the Protection of Wrecks Act 1973 on Friday 10 December 2004. 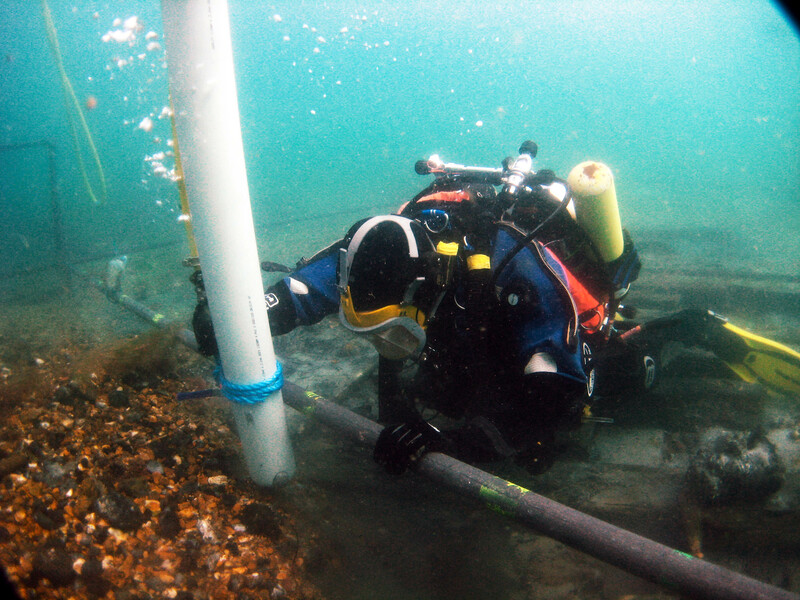 Since then, the site’s designated archaeological licence has been held by the Harbour Engineer of PHC with Dave Parham as the archaeological advisor since 2006. The site consists of a spread of archaeological material covering approximately 40m x 50m. 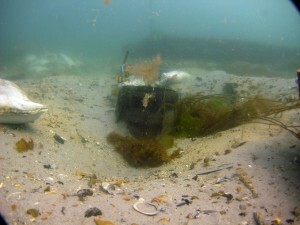 This consists primarily of the remains of a heavily framed carvel constructed wooden ship of c.40m with associated debris spreading up to 30m to the northwest of the site. The articulated structure consists of almost the entire port side of the vessel, from an area in the bow between the keel and the turn of the bilge to the toprail of the forecastle and in the stern from the top of the deadwood to the top rail of the sterncastle. This structure is split approximately 60% of the way along its length from the bow forming two distinct elements which lie on slightly different orientations. The ship was pierced to hold at least 18 guns on the main deck with an additional 8 on the upperdecks, however only 4 large guns, 2 smaller guns, and the one small gun recovered in 1990 have been located on the site. Other artefacts include personal belongings such as shoes and combs as well as smaller artefacts. The lack of guns, cargo and the relatively small amounts of artefacts suggests that the ship was salvaged at the time of wrecking. 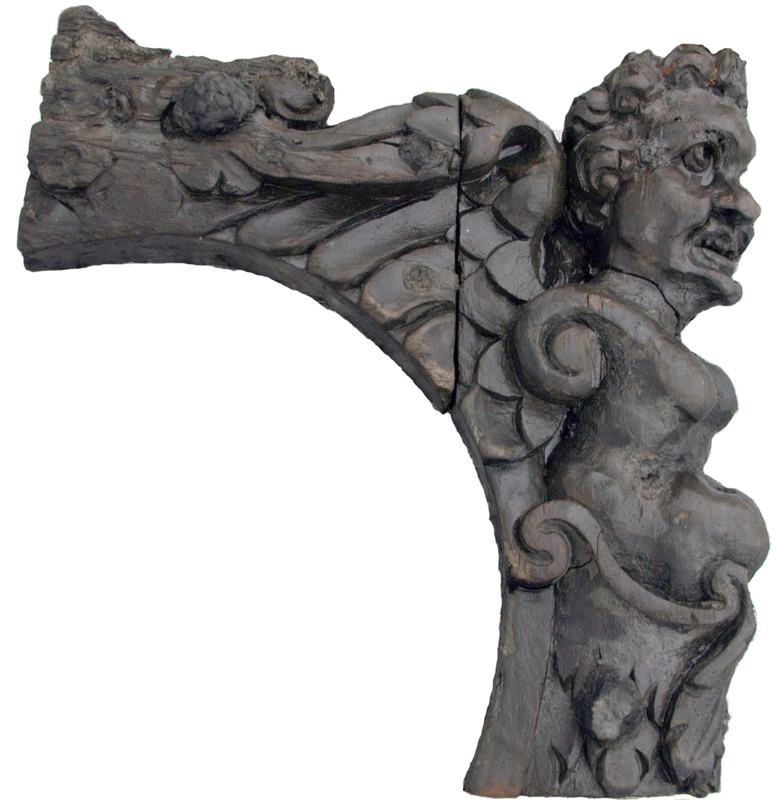 Following the designation of the site, English Heritage (EH) and PHC approached David Parham to monitor the site. This was undertaken by university staff with specialist skills and incorporated into a taught unit on BU’s BSc Marine Archaeology programme to increase capacity within the sector. This work continued from May 2006 until the summer of 2008 during which time it became evident that the site was naturally eroding and subject to considerable degradation. 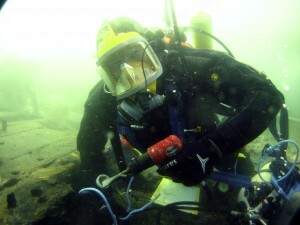 As a result of these conclusions EH commissioned a rescue excavation of the site that was undertaken in the summer of 2010 culminating with the raising of the rudder in the summer of 2013. 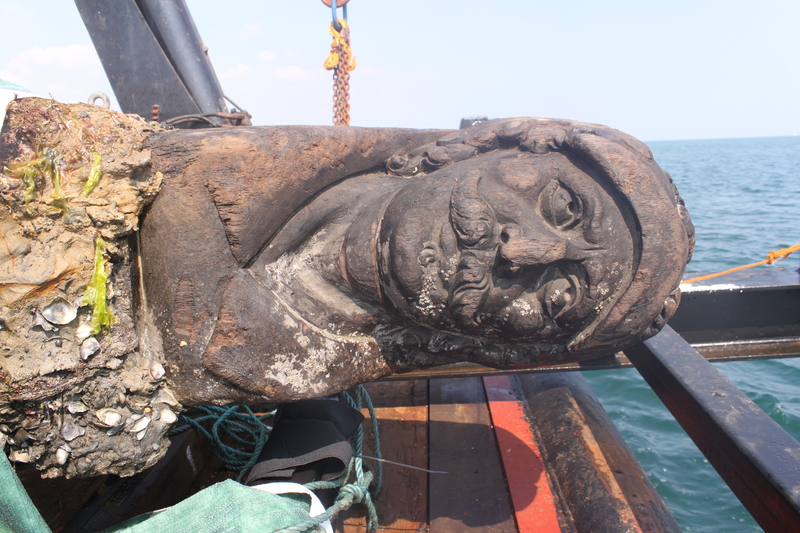 BU has also conducted a major ongoing post-excavation project using laser scanners and FARO arms to record the raised timbers, allowing for the digital reconstruction of parts of the ship.